Duke University, Durham N.C., has discovered a new means for utilizing the Blackboard Transact system, by regulating its newly implemented bike-share program – Duke Bikes. A free student bike-loan program, the Duke Bikes fleet currently includes 130 rental bikes equipped with adjustable seats, lights and flashers. Student can even rent helmets and baskets. Bikes are registered into Blackboard as products and assigned point values. Using the credit and debit functionality of its Blackboard system, students can then use their DukeCard to rent bikes for the day. 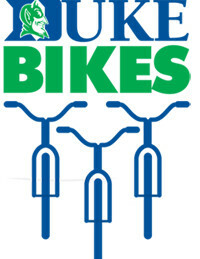 Using the Duke Bikes Web site, students can go also online to check the inventory of bikes available, reserve a bike or renew their rental. By integrating the bike rental program into the Blackboard system, administration is able to better manage day-to-day bike rentals. Student Life Offices can obtain a demographic analysis of each rider – including their class, age, gender, number of rentals, how often they rented, and which months have the most and least amount of riders. With this data from the Blackboard system, Duke has the ability to design promotional campaigns targeted to each student’s specific needs based on the data they have acquired.